I was just sitting around Saturday morning wondering what I was going to do. My husband had to work until 8:00 p.m. My sister called and asked what I was doing. I said nothing really, why don’t you come so we can hang out. She lives about 3 hours away, so we don’t get to hang out as much as we would like. I said you could at least come spend the day with me, even if you can’t spend the night. She informs me that she already has plans with her husband. So, there goes that idea. I am not good at just chillin on Saturday. I like to be busy. I had already cleaned the house, so now what. I do some laundry. I call to chat with my mom. I get another call from my sister. I put my mom on hold to see what my sister is wanting, since we just hung up a few minutes ago. I think maybe she has changed her mind. I click over and say what’s up. She was laughing and said she was just a few minutes from my house. She was already on her way here when we had our last conversation. I was so excited. My sister, her son and daughter are coming for the weekend. I was glad that I already had the house clean. I even had groceries in the house. Now I can enjoy my sister and her kids for the weekend. They get here and we start trying to figure out what to do. They were hungry so we go to eat at Zaxby’s. Then we do what most women do when they get together…we go to the MALL. We hang out at the mall for a few hours shopping, or looking. We decide it is time for some Maggie Moo’s ice cream….YUMMY!!! While at the mall Melanie, my sister, bought a new Wii game. It had volleyball on it. We love to play volleyball so we try our hand at Wii volleyball. It was so hard at first trying to figure out how to pump, set, and spike with the remote. We were so frustrated at first. Melanie was about to take it back to Game Stop. We finally get the hang of it. We decided we would have a 6 man double elimination tournament. Matthew, my nephew, was champ, my son Dustin came in second, and yours truly took 3rd, with Mel at 4th, Kandace 5th, and Randy, my man, 6th. We played until late at night. We laughed so hard that we wet our pants….or at least I did. Melanie made a video of me playing….I told her I would kill her if she did not delete it….thankfully she took me seriously and deleted it….now I won’t have to go to jail for murder. After church we go eat some serious Mexican food at my favorite Mexican restaurant Los Portales. We scarf down some chips, cheese dip and salsa. After we get our bellies full we head back to my house for another round of Wii volleyball. Dustin borrowed 2 more controllers from a friend so we can play teams. We have 3 teams, me and Melanie, Dustin and Kandace, and Randy and Matthew. This time me and Melanie are the CHAMPS!! It was such a great surprise to have Melanie and the kids come for the weekend. We always have a good time when we get together. We have always been close. I am thankful the Lord gave me Melanie for a sister and best friend. I love her kids as if they are mine. It broke my heart when I called to see if they made it home and Mikayla was crying wanting her Aunt Marilyn. It is times like these that it is hard to be in the ministry and not live close to our family. 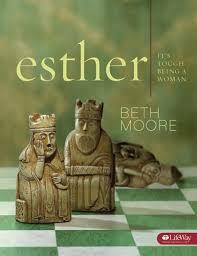 I am doing the Bible study ESTHER by Beth Moore. We just watched the first video Wednesday night. I am so excited about doing this study. I love the story of Esther and how God used her “at such a time as this”. I know I will learn more than I ever did before through Beth’s eyes and gifted teaching. Beth is a devoted student and teacher of the Word. I love her passion for God and His word. She inspires me to fall in love with Jesus. Thank you Beth for your example. I have also signed up with Beth and the Siesta to memorize 24 scriptues in 2009. 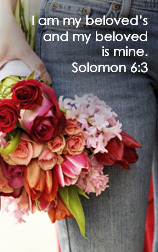 Beth has a challenge to memorize 2 verses a month on the 1st and 15th. I like Beth want 2009 to be a JESUS year. What a better way than to hide God’s Word in our heart. At Birth Choice we use the acrostic E.S.T.H.E.R as the name of our parenting classes. We tell the girls about the story of how God used Esther to save the Jews from being wiped out and how God can use them in a special way. 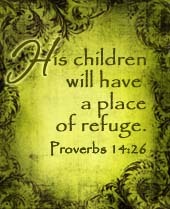 Who knows that God could have brought you to this place “for such a time as this”. God can use the circumstances in our lives to encourage others. I just want to look back at the past year and see all that me and my family have done. We have had a hard year of changes. I tried to reflect more on the positive things we did, more than the hurtful ones. As you can read, God has been faithful to bring us through some trying times. If it were not for the Lord and His Word I would not have been able to keep going. I included a list of the Bible studies that I did at our church. I didn’t really comment on any of them, but these Bible studies helped inspire me to keep the faith, and challenged me to be a better Christian,wife, and mother. Thank you to all the ladies that mentored me this past year. You will never know the impact you had on my life. So here goes a month by month look at my life in 2008. I hope you don’t get too bored and fall asleep. If you don’t like long post then I forgive you for not reading this one. We started off the new year in Memphis, TN. Me, Cody, Jessica and Tanner spent the day at the Peabody Hotel and we ate at Shogun. On the 6th our landlord asked us to move out of our house because she wanted to move back in. She had leased the house to us for a year and it had only been 6 months. She had moved to Florida but didn’t like it so she wanted to move back. She only gave us a 2 week notice. We frantically look for another place to live. My dad goes into the hospital on the 10th. Mom’s birthday was the 11th. Mom falls face first and has to go to the ER on the 13th. She took a hard fall to her face. We move on the 25th. My brother Lonnie, his wife Casey, son Dylan and my sister Melanie and her daughter Mikayla come to help us move. I don’t know what we would have done without them. As we were leaving the old house I backed into the neighbors car. I guess you could say we left with a bang. I did the Bible study “For Women Only” by Shaunti Feldhahn. On the 1st we had our Birth Choice Banquet to honor the volunteers. It was lots of fun and laughs. My dad goes into ICU on the 3rd. Tornado hits Union University on the 5th. This was such a devasting time. This is our school. Randy my husband graduated from Union and my two oldest sons go to Union. Union was wiped out, over 17 buildings were destroyed. We helped clean up several homes that were hit by the tornado. Thank God that not one person was killed. My dad is still in the hospital so I leave to go see him. He is not getting better. They could not find out what was wrong with him. Finally, we get a diagnosis that he has kidney cancer and needs an operation. He was sent to Nashville to Centennial Hospital. The surgery was so serious the doctors did not expect him to live through the surgery. My whole family my mom, brothers, sister, and myself along with our families stay with him at the hospital for days. He has the surgery and it was successful. He made it through. He continues to improve. This whole month was spent visiting dad in the hospital. Dad comes home from the hospital on the 1st. We have a welcome home party for him on the 2nd. We actually got 4 – 5 ” of snow on the 7th. Yippee me and Tanner build a snowman. Tanner gets a Wii for his 16th birthday. He has a sleepover with his friends Chris and Adam. We go and play putt-putt golf and out to eat. We also play corn-hole. Dustin goes to France with the Union Choir on the 21st. They perform at several churches in France including Paris. I turn the big 4-0 on the 25th. We spent my birthday at the Memphis Zoo and ate @ Outback. Randy and the boys got me a Cruise for my birthday, WOO HOO. 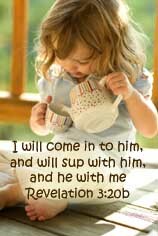 Idid the Bible study “Stepping Up”, by Beth Moore. I also love to read Christian fiction this month I read “Fire By Night” by Lynn Austin. We had our annual Birth Choice Banquet on the 3rd and 4th. Randy and Tanner went to the men’s “Wild Game Dinner”. My mom and dad come for a visit. We go to hear Dustin and the Union Choirs sing at Leoma Baptist Church. This was in my hometown so all the family got a chance to here Dustin sing. It was a great night. On the 17th we drop Tanner off with grandparents and me and Randy head off for our “Cruise”. We had a 5 day cruise to Cozumel, Mexico. It was so much fun. This was our first cruise. I will say this is the only way to travel. The food is awesome. I did the Bible study “Psalms of Ascent” by Beth Moore. I read “Tested By Fire” by Kathy Herman. We had a pool party for my sister Melanie’s birthday on the 15th. Randy preached a funeral of a former church member , Alvin Adams, on the 16th. We spent the month of June grilling out, going to the movies, playing putt-putt golf, and swimming. Our favorite movie was “The Chronicles of Narnia, Prince Caspian”. I read a series of books by B.J. Hoffman, “A Distant Music, The Wind Harp, and The Song Weaver”. We spent the week of the 4th at the river with my family at their old time friend Marvin’s. We rode the boat and the kids rode boggie boards. We enjoyed a great firework display while floating in the boat on the river. Our church had a Celebration on the 6th. It was a lot of fun. They had bull riding (mecanical of course), rock climbing, tricycle races, dunking booth, lots of food and fun. Randy’s niece Kayla gets married on the 12th. 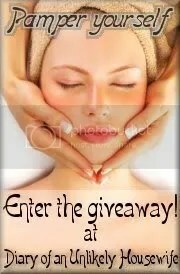 Me and Jessica have a girls day out with makeovers and a movie “Mama Mia”. Our Sunday School class goes to the Diamond Jaxx for a baseball game and fellowship time. We head over to Amanda’s for a pool party afterwards. Me, Randy, Cody, Tanner and Jessica take a day trip to “The Land Between the Lakes”. We spend the day touring the Old Homeplace petting the animals as we walk back in time to the late 1800’s. We see Elk and Bisen roaming on the hillsides. We discover a great place to eat called “Patti’s 1880’s Settlement”. This was an amazing place. 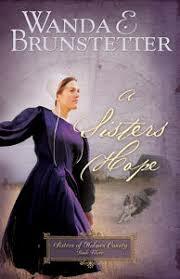 I read “Frasier Island” by Susan Page Davis, “A Sister’s Hope” , “On Her Own” and “Allison’s Journey” by Wanda Brunstetter. My sister, Melanie, and her kids, Matthew and Mikayla, come for a visit. We go shopping, eat out, and play corn-hole. The next weekend I go home to help my sister with “Relay for Life”. Our whole family comes out to support my dad since he was a cancer survivor. We all watch as dad takes his victory lap and we cheer him on. We have a pool party at my brother Donnies. We go to Leoma Baptist church to hear Dustin and Kandace sing a special. The next weekend I take Jessica’s senior pictures. The next weekend we hang out as a family and cook out and play volleyball and putt-putt golf. The next weekend we spend the whole weekend celebrating Dustin’s 21st birthday. We go to the Nashville Zoo and eat at CozyMel’s. While in Nashville we take Tanner to see Cooter and Cletus from “The Dukes of Hazaard”. We have a party at my moms for Dustin with the whole family. We have a huge corn-hole tourneyment. 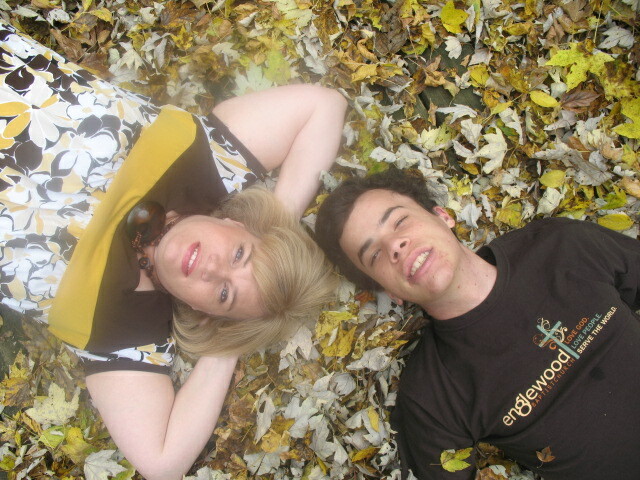 This is the month I join the bloggy world thanks to my friends Don and Wanda for creating my blog. I did the Bible study “Return to the Garden” by Kay Arthur. I read Summerhill Secrets I & II by Beverly Lewis. Dustin’s actual birthday is on the 1st. We go to Randy’s parents for a cookout and play corn-hole with them. Dustin had been staying at my parents for the summer to be close to Kandace his girlfriend. He moved back home on the 6th so he could go back to school at Union. We played volleyball and cooked out. Tanner has doctors appointments in Nashville at Vanderbuilt. Everything went well. I began working with “Mission Jackson”. We do backyard Bible school on Sunday afternoon’s with the project housing kids. Our family started cooking meals together, this was such a great time. I have all men in my house so it was a blessing when they started taking an interest in helping me cook. Dustin loves to make his own creations, Cody likes to grill, and Tanner can make some yummy brownies. I would make whatever they didn’t make and Randy would pitch in to help too. I will say that I am the only one that cleaned up the mess, but it was nice working together as a family to cook some great meals. We did this quite often. We also played alot of volleyball. We even took on a group of Union students in a game at the park and our family won. Did I mention I am competitive. Tanner had a trip to the ER. We were afraid he had appendicitis, but he just had a bad stomach ache. I help with the “Walk For Life” event put on by Birth Choice. I cooked a thanksgiving type meal and my parents and Randy’s parents came for the weekend to eat with us, and to help celebrate Randy’s birthday. I did the Bible study “A Marriage Without Regrets” by Kay Arthur. Me and Randy are counselor for the “Nicky Cruz Rally”. Randy and Dustin play golf while me and Tanner drive the carts. Our church buys up tickets for the movie “Fireproof” for our members to attend. This was an awesome movie, afterwards we have a fellowship at Amanda’s. Randy’s brother Ricky and his wife Sherry come to Jackson so go to Cracker Barrel to eat with them. Tanner starts going to Aqua Therapy. Dr. David Platt comes to Union so we get a chance to hear him preach. He is a remarkable preacher. Our church is a part of a city wide youth event and my son Cody played bass guitar in the praise band. Our church host a “Fall Festival”. Me and Randy help out with registration. I did the Bible study “Deeper Still, Anointed, Transformed, and Redeemed” by Priscilla Shirer, Beth Moore, and Kay Arthur. This was a great Bible study I love all 3 of these women. I was actually at the Deeper Still Conference in Nashville, TN when they recorded the Bible study material. I was there with my best friend Wanda. 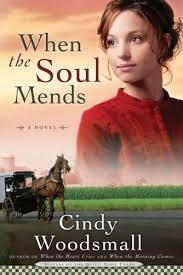 I read several books “When The Soul Mends” by Cindy Woodsmall, “A Distant Land” , and “My Heart Remembers” by Kim Vogel Sawyer. Me, Randy and Tanner spend the day walking the trails and taking pictures of the fall leaves at Cypress Grove Park. We went to Dustin’s Fall Concert at First Baptist Jackson. Then we go and watch him play volleyball at Union. I helped get the food and preparations ready for our women’s conference “The Gathering”. The conference was wonderful Denise Lopez was the speaker. We have our first Celebration of Life at Birth Choice for the ladies that participated in our ESTHER classes and had their babies. We have refreshments and present each mom with a diaper bag full of gifts. Dustin has a big debut in Chapel at Union where he composed the music for the symphony band to play. Our whole family was there to hear his music performed. I go to my first “Yada Sisterhood” party with my friend Juanita. My niece Mikayla was baptised on the 23rd. Our entire family was there for her, we all went out to eat to celebrate afterwards. We have a big block party for our Mission Jackson kids with big blow up slides, games and food. We travel to Indiana to celebrate Thanksgiving with our friends The Galloways. We had a great time hanging out with them and eating lots of good food. On our way home we go to Patti’s and see 500,000 lights and eat lots of good food. I read “Where the Willows Grow” by Kim Vogel Sawyer, and “Rekindled” by Tamara Alexander. Our Mission Jackson group invites all the families to come to our church for a meal and program. We serve each family and give them a gift. My son Tanner loves to decorate for Christmas so we decorate the whole house and put lights up outside. He even decorated his clubhouse with lights. Dustin gets sick for 11 days. This is the sickest he has ever been. He really scared us. The nurse at Union thought he had minigitus. Thank God he didn’t. Of course we are busy this month with shopping, and parties with my work and our Sunday school class. Our church choir performed “Joy To The World”. It was awesome. We went both nights. My grandmother dies on the 16th. She had been sick for years with Alzheimers. She is better now that she is with the Lord. Our Sunday school class feed the homeless church on the 21st and attend the services. We spend Christmas with our families. I stay for a few extra days with my mom and babysit Mikayla. We have a great time shopping and playing games. My brother Donnie and his family come down and play games with us. Our Sunday school class feeds the homeless at our church in the “Room At The Inn” ministry on the 30th. We cooked for them and me , Randy and Tanner played pool with 3 guys. It was a great time of fellowship. They hated to see us leave. We end the year by me and Randy eating at “Red Lobster” and then coming home to play Taboo with Cody and Jessica.